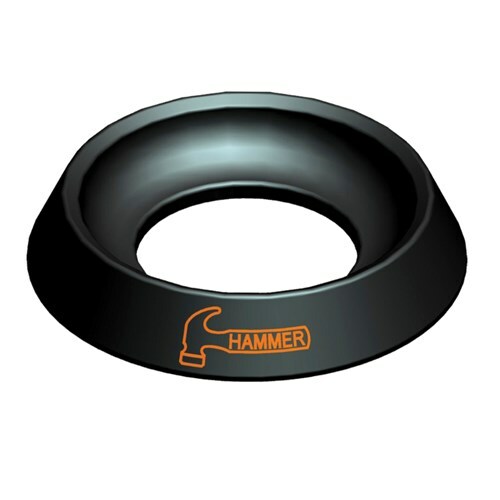 The Hammer Ball Cup is a ring that is used to keep your bowling ball in place. This black ring with an orange Hammer logo can be used for displaying a bowling ball or for helping you clean, polish or sand your bowling ball. Storm, Hammer or other ball cup...is there a difference and which one is the best? The Storm and Hammer ball cups are very similar so it is hard to say which is the best. The Hammer fans tend to get the Hammer cup and the Storm fans go for the Storm cup but they both should be durable and dependable cups. Due to the time it takes to produce the Hammer Ball Cup Black ball it will ship in immediately. We cannot ship this ball outside the United States.